Wednesday, August 22, 2018 - Popular media personality, Betty Kyalo, has introduced her ‘twin’ sisters on social media and men are salivating. 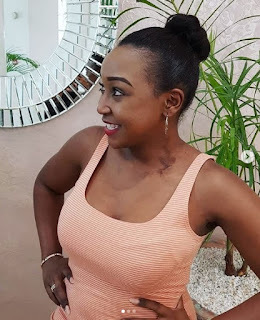 The news anchor who recently quit KTN has shared a stunning photo hanging out with her younger sisters and they are such a sight for sore eyes. The screen siren has been enjoying her well deserved holiday after leaving KTN and despite reports that she’s headed to K24, she has kept her cards close to her chest.